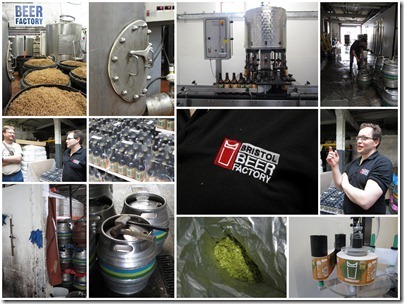 Bristol Beer Factory have featured here before, in an early Tour At Home. I’ve remained a big fan of theirs, so when we found ourselves passing through Bristol on the way back from our Cornwall Tour earlier this year, I jumped at the chance to visit. 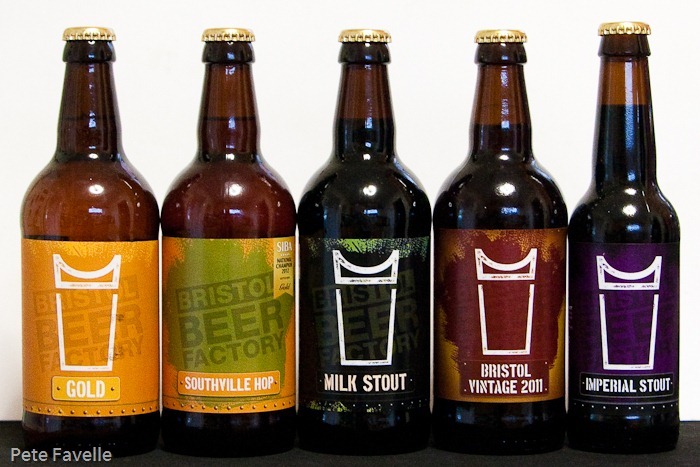 Although only opened in 2005, Bristol Beer Factory is carrying on a long tradition of brewing in the city. Indeed their current premises were previously part of the old Ashton Gate Brewery, although production had ceased there back in 1933. 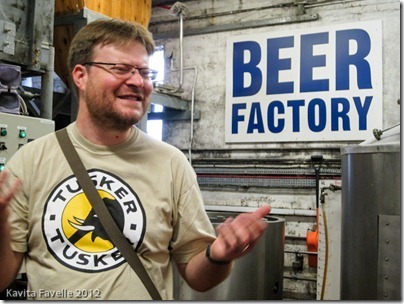 Somehow, they manage to cram a 10BBL brewery into a surprisingly small space – and not just the brewery but their cask storage and filling, and even a smal bottling plant. Every corner is filled with equipment, and as Chris is showing us around he mentions another two vessels are on their way. When I glance around and ask where they’re going to go, he shrugs and says “we’ll fit it in somehow”. They have even bigger plans, intending to grow to 30BBL within the year; I can’t quite imagine how they’ll manage it but it’s nice to see another great brewery having that most useful problem in business – too much demand. Chris is a wonderful host – again, I’m struck by how friendly and enthusiastic all brewers seem to be – and I could happily spend even longer than we do chatting about beer and ingredients, peering into mash tuns and fermenters, and generally distracting him from the day job. But after what must have been an hour of serious equipment and hop envy on my part, he has to get back to the business of brewing – and given how tasty their beers are, I suppose I can’t really object. He kindly sends me on my way with a small collection of their beers, which nicely complements the collection I reviewed on my previous Tour At Home. It’s probably worth saying at this stage how much I love their branding; the beer glass logo is beautifully simple and has the classic Bristol Suspension Bridge blended cleverly into it. I adore the way that big, bold logo brings a consistent look across the range, while allowing for a spectacular range of colours and designs behind it. Purveyors of those terrible smutty seaside postcard take note – this is how grown-ups brand beer. 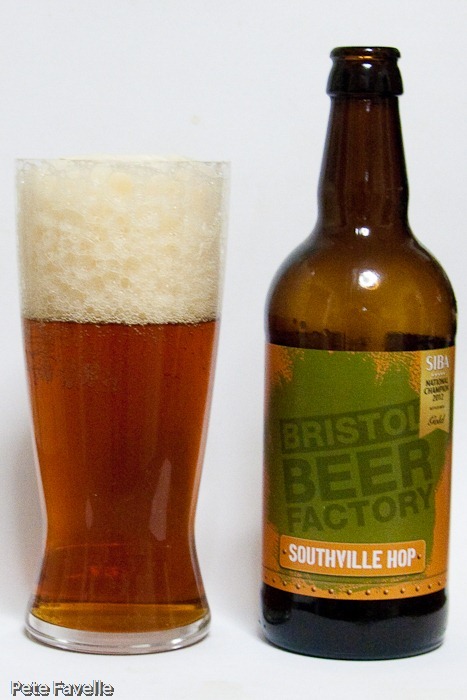 Of course, having enthused about their logo it’s ironic that the Southville Hop above is missing it. 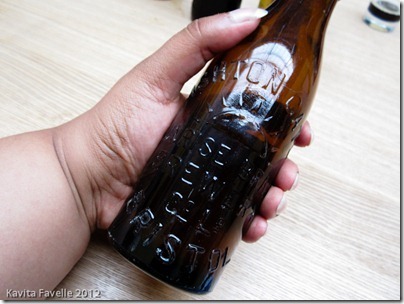 An entire batch of labels managed to get printed without it, and a fair few made it onto bottles before anyone noticed. 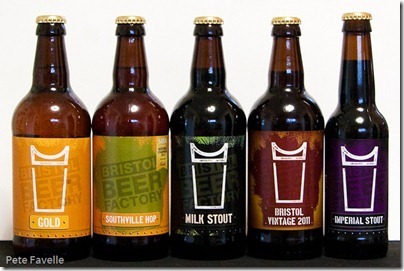 To be fair to Bristol Beer Factory, I didn’t even notice it was missing until Kavey pointed it out! 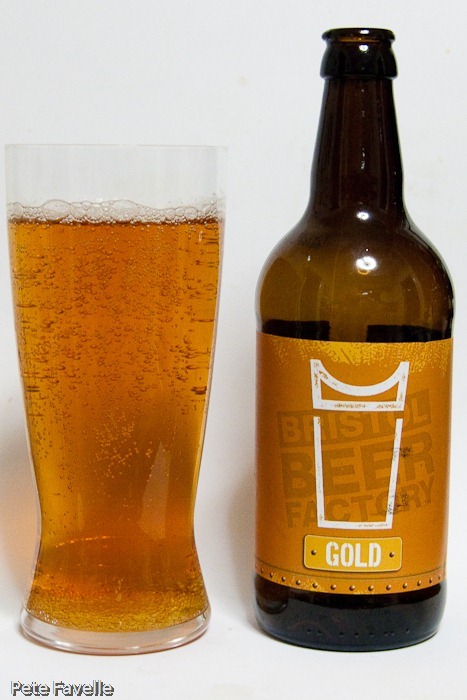 The first beer is Gold, a 5.0% premium golden ale. It has a gloriously golden colour in the glass, with big open carbonation – 10 seconds after opening it’s looking more like cider! The nose is subtle; a hint of berries, a touch of biscuit but nothing substantial. That light touch continues into the taste – light and fresh, just a hint of sweet malt, a well controlled but very present fizz and a gentle but very pleasant hop bitterness right at the end. A nice summer session beer. Next up is Southville Hop, a 6.5% “American Inspired” IPA. It sits amber in the glass, with a seriously big foamy head on it. The nose is huge, dripping with floral hops – orange citrus, peaches, pineapples along with a softer, green leaf aroma. It’s sweet in the mouth; the big tropical fruit aromas carry over into the taste, and a lingering hop resin feeds a long, bitter tail. It’s perfectly balanced; deeply, deeply bitter but never harsh, with all these fresh fruits dancing around in the mouth. As my tasting notes say, it’s like drinking a hop smoothie. This is definitely one of my top three beers on the planet. 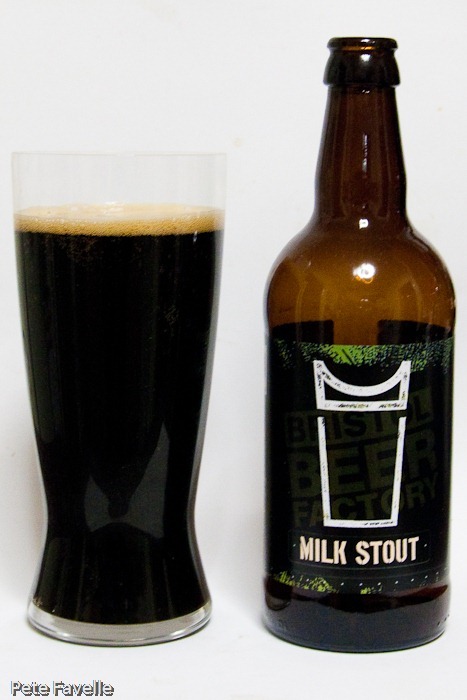 The Milk Stout is surprisingly low strength, at just 4.5%. 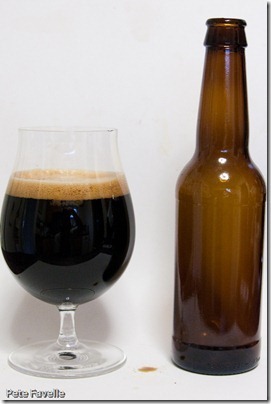 It’s so dark as to be almost black in the glass, with a fine bubbled, thin tan head on it. The nose is full of dark roasted grains, with some definite coffee notes too. 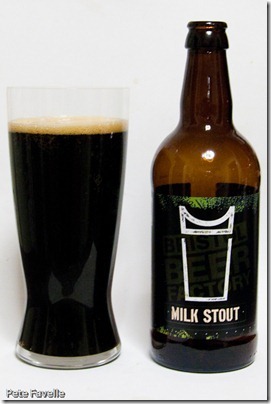 It’s incredibly smooth in the mouth; creamy, sweet with roasted malt coming through, and milk chocolate. There’s a touch of bitterness but it’s incredibly gentle, just enough to stop that sweet creamy feel becoming too much. It’s a delicious, sweet stout with a generous body and also has the distinction of being one of the few beers that Kavey likes! Bristol Vintage 2011 is a 6.6% ale brewed to celebrate their 1000th brew. It’s a dark reddish brown, with a fine lingering off-white head on it. The nose is nothing short of awesome – rich with dried fruit, a sweet roast malt and toffee sweetness. It’s seriously big in the mouth; dark malt that is rich and sweet without getting too sticky, with a surprisingly big belt of alcohol and just a touch of wood. The bitterness slowly builds up and overtakes that sweetness, perfectly clearing the palate for the next mouthful. A fantastic beer. On to the Imperial Stout (apologies for the terrible picture) at 8.5%. It’s black, thick and oily with a wonderfully deep tan head, which fades quickly. The nose is unusual to say the least; some sourness, parmesan cheese, mushrooms and a distinct dankness underneath. The taste is great; sweet with dark espresso coffee, chocolate and dates. The finish becomes drier, more tannic but remains nicely sweet. The alcohol strength really doesn’t come through and it lacks the treacle sticky sweetness I was expecting. 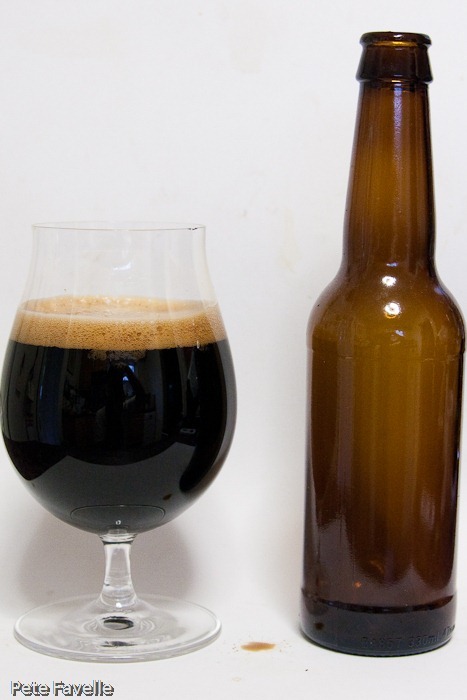 That’s not to say it’s at all bad, just not what I was expecting – it’s almost more like a brandy than a beer. 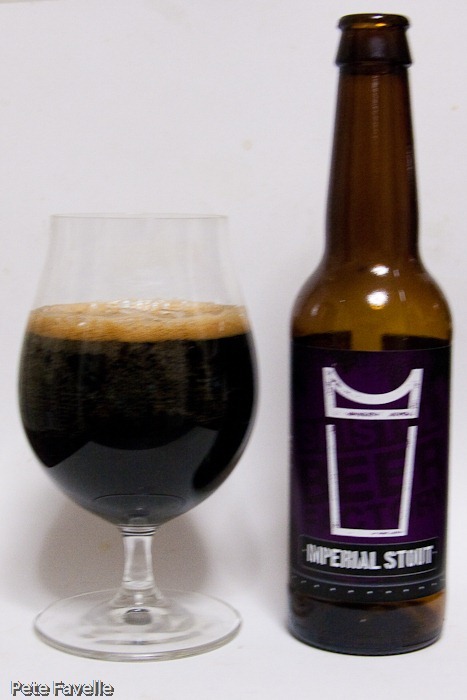 The final (unlabelled) bottle is a bit special – it’s the Imperial Stout aged in Glenlivet casks at a spectacular 10.7%. Visually, it’s very similar to the Imperial Stout above. The nose is similar too, but there’s something extra to it – it’s not identifiable as a distinct whiskyness, but there’s an alcohol hit that catches the back of the throat. In the mouth, those coffee and chocolate notes are there again, along with the fruit. However, the alcohol is much more apparent all the time, and the whisky character becomes quite significant in the finish, blasting through that tannic end. It manages to taste very much like a whisky chaser and I can’t help wondering how much Glenlivet was in the casks when they filled them! The whisky ageing really comes through nicely, and adds a huge dimension to what was already a big beer. Awesome stuff. 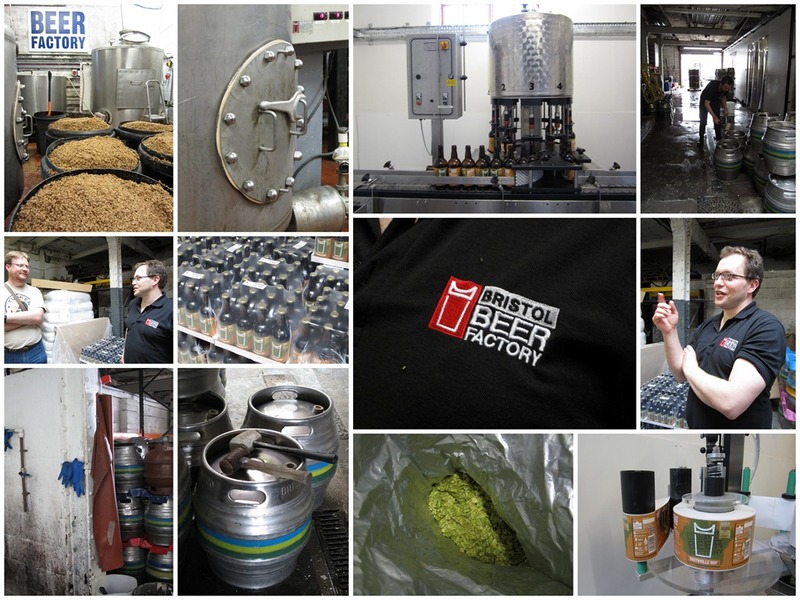 Our visit with the Bristol Beer Factory was part of a week-long holiday in South West England, courtesy of The Food Travel Company. They are a new company offering specialist trips for food and drink lovers, with group departures and customised itineraries available.